While there might be a few negative aspects to the Graco Contender 65, the positive aspects far outweigh them. The safety, ease of use and compact size are its top features. And the fact that the price is so affordable makes it almost a no-brainer! The Graco Contender 65 car seat is a great choice for most babies and toddlers. Being able to use the car seat for more long-term than a carrier car seat for infants. The cost is affordable for most new parents. Safety is a huge selling point for the car seat. It takes up more room when rear-facing and less when forward-facing. The strap release is too easily accessible for most toddlers. The latch belts make it almost impossible to tighten once latched in. 7 THE BOTTOM LINE | Great Deal! Obviously in a car seat, you want safety to be the thing that the manufacturer spends the most time on. But sometimes it can seem like flashy colors and designs, along with a cheaper price, gives way to a car seat whose safety seems like it can be a lot better. I’m not talking about a piece of rope tied across your baby’s body, but there are some car seats that seem like they barely made it through the safety assurance course of getting the car seat approved. The Graco Contender 65 goes above and beyond safety standards. With the Graco Contender 65, safety is what it’s all about. Not only is it side impact tested, but it also has what Graco calls SafeSeat Engineering, which means that the car seat was crash tested to adhere to a high level of safety standards with infant car seats. All Graco car seats, including the Graco 65 Contender, are engineered to meet or exceed US standard FMVSS. It also has side impact testing, wherein simulation were conducted with the car seat to ensure that force from the sides of the vehicle wouldn’t compromise the safety of a baby in the car seat. The harness system is where the safety lays, along with the ability to adjust and readjust as needed. Since the car seat is to remain rear-facing through 40 pounds, it extends the safety to your baby by allowing them to be seated comfortably in the car seat without needing to switch to forward facing too early. The Graco Contender 65 is made to make sure that your baby’s comfort is second only to safety. The Simply Safe Adjust Harness System makes it possible for you to use just one hand to readjust the car seat’s headrest area as needed, without disturbing your baby. It enables you to find the right position as your baby grows. Since the car seat is made to grow with your baby from infancy to their toddler years, the extra padding and headrest are totally removable. So while your baby is small enough to need the extra padding, it will be soft enough to keep him or her snug and comfortable in their seat. But when they’re starting to feel a little too tight in there, you’re able to remove them and re-position the car seat as needed. Made with EPS, energy-absorbing foam within the seat, there is both safety and comfort wrapped up in one smooth ride with the Graco Contender 65 for your baby to feel comfortable. Contrary to popular belief, just because you become a parent, it doesn’t mean that you have to suddenly become a soccer mom or dad. I.e. you don’t have to invest in a mini van right away. In fact, even if you have two little ones, you don’t have to give up that sedan right away. And with the Graco Contender 65 car seat, fitting in your car, and even more than one if need be, should not be a problem. It’s easy enough to install, with no extra latches or otherwise confusing elements that other car seats sometimes struggle with. And it’s still small enough to fit at least two across the back seat of your car, if you need to install more than one. It’s also true that the car seat has lots of removable cushion for your baby’s comfort. But even still, the car seat itself isn’t too bulky at its core. That also means that getting the car seat in and out of your sedan should be a lot less stressful than some other car seats. We won’t promise you that dealing with two babies in car seats will be easy. But as far as fitting them in the backseat safely and successfully, the Graco Contender 65 should work. Since the Graco Contender 65 isn’t a carrier car seat as well, you won’t have to worry about getting it in and out of your car, but even if you need to be switching with your partner or your baby’s grandparents some days, getting it in and out of the backseat is a lot easier than you’d think, base and all. On the manufacturer’s website, the suggested retail price (MSRP) is $140, which is also hard to argue with as far as prices go for a convertible car seat. But right now on Amazon, you can find the Graco Contender 65 for even LESS than MSRP (show current Amazon Price). 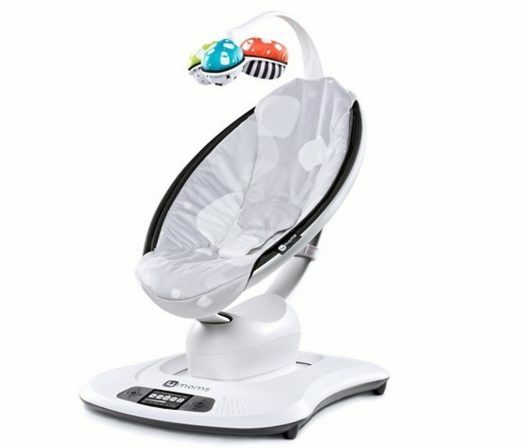 The Graco Contender 65 allows your baby to utilize the car seat from five to 65 pounds. So really, it’s likely the only car seat you would need until eventually transitioning to a high-back booster for your toddler somewhere down the line. In other words, many parents will find themselves choosing a car seat carrier to take their baby home in that doesn’t even have forward-facing capabilities. Then, those parents would need to purchase another one when it came time. And even then, it might turn out that the car seat’s weight limit is exceeded soon after. Several hundred dollars later, and a three-year-old has gone through three different car seats in their life already and that isn’t fun for anybody. With the Graco Contender 65, it’s totally different. THE BOTTOM LINE | Great Deal! When choosing the best car seat for your baby, there are plenty of things to keep in mind. And while price is certainly one of the important deciding factors, there is also safety, comfort, and all around longevity for the car seat itself. Some parents don’t mind having an infant car seat, and then a new one after the newborn stage, and another one when your baby is finally forward-facing. But it’s hard to see the value in that when you can invest in a convertible car seat like the Graco Contender 65, which is made to grow with your little one instead of being cast aside after just a few months of use. There might be a few negative aspects to the, but in most cases, the positive aspects far outweigh them. The safety that is promised and tested well beyond the necessity says a lot. And the fact that the price is so affordable makes it easier to make the decision. The Graco Contender 65 car seat could use some improvements, as most parents will find with car seats in general, but it’s still a good choice for most babies and toddlers.